Home Instead’s innovative care model ensures maximum quality of life for clients. The organisational culture and approach was repeatedly praised throughout the report; described as inclusive, holistic and exceptional. In light of this, it is little wonder that the company was awarded the rating of ‘outstanding’, which is achieved by only the top three per cent of adult social care services. 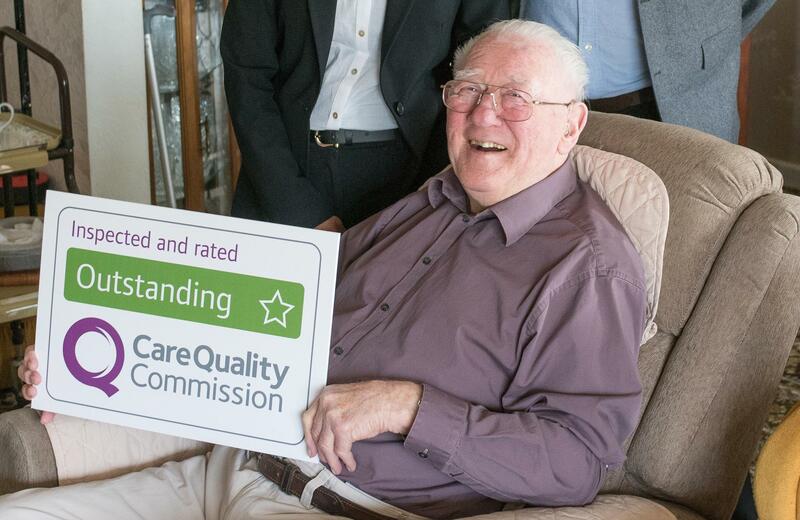 Niven Ramalingum, owner of Home Instead Senior Care Southend-on-Sea, said, “We are over the moon that we have joined the three per cent of our industry rated as outstanding by the CQC. We are also delighted to see our company vision and culture referred to so prolifically throughout the report. Martin Jones, managing director of Home Instead Senior Care said, “Congratulations to Niven and the whole team on yet another outstanding result.